It started out wanting to make a new bag for my iPad. 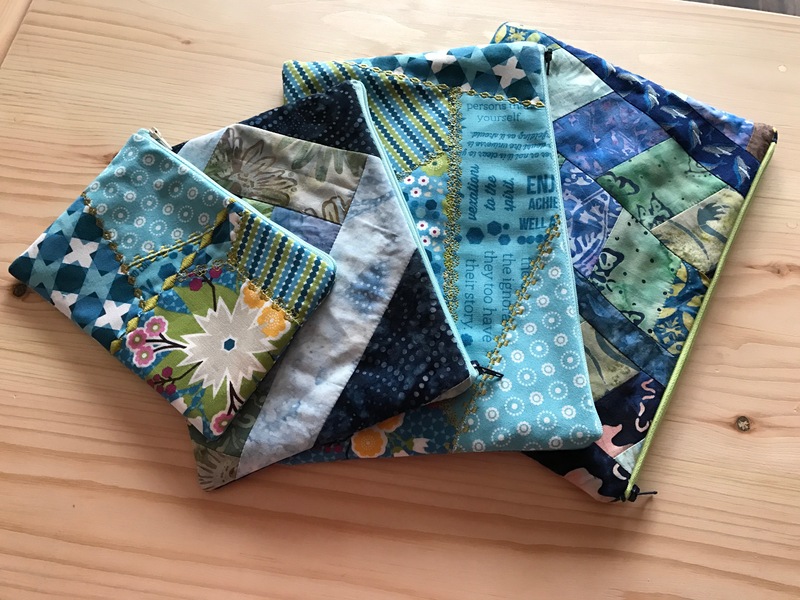 I did a couple (the two on the right – one pieced, the second crazy quilt appliqué) before the one I have decided to keep. I made the two smaller bags from leftovers from the other two bags. I seem to be drawn to blues at the moment although the next quilt idea is based on black/white and an array of red/orange/golden. I still have to finish the “hitoe” I started about a month ago – it’s sitting on my cutting table so I can get back to it tomorrow. And then I really should make another dozen mid-size bags to have in my bag stash – for gifts….